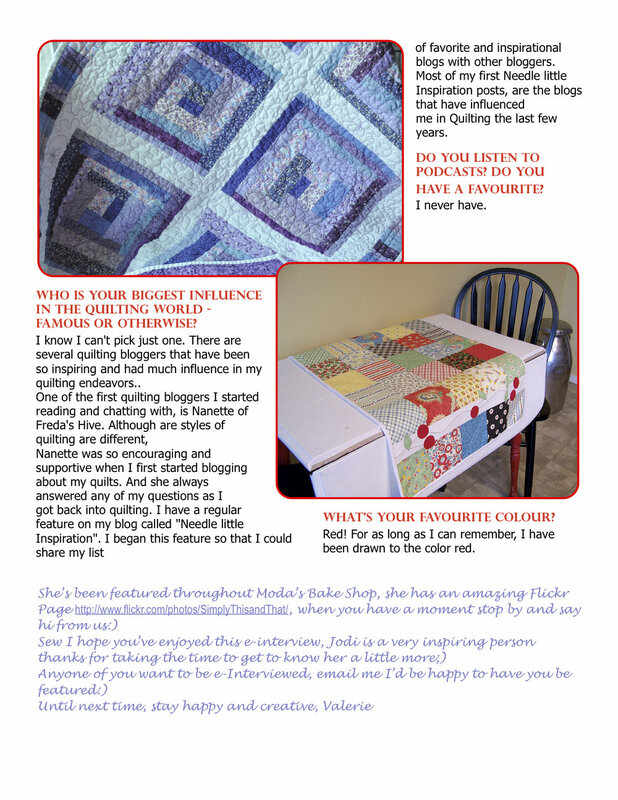 Hi and welcome back to Val’s Quilting for our e-interview today we are featuring a delightful online Blogger, Pattern Designer and all-round inspirational person…welcome Amber and thanks so much for being part of my blog AND donating a great prize.. Thanks so much for leaving a comment, Amber, when do you think we should do the draw? Hi Everyone, WOW I’ve had such an overwhelming response to my 100th blog posting…thanks so much!! You can still vote the cut off will be May 15th! Also it’s Vivian’s Birthday Month – Happy Birthday Vivian…I won’t disclose your age lol. Please let me know what you think of my new format, I love doing these interviews and getting to know everyone out there in blogland on a new level…thanks so much!! Hi everyone, I had a comment from Colleen saying she liked the new format but it was a bit awkward to click on when you made it bigger, so I’ve adjusted the size and format – this should work without clicking on it but let me know – thanks so much! Another fabulous follower being e-intereviewed today. 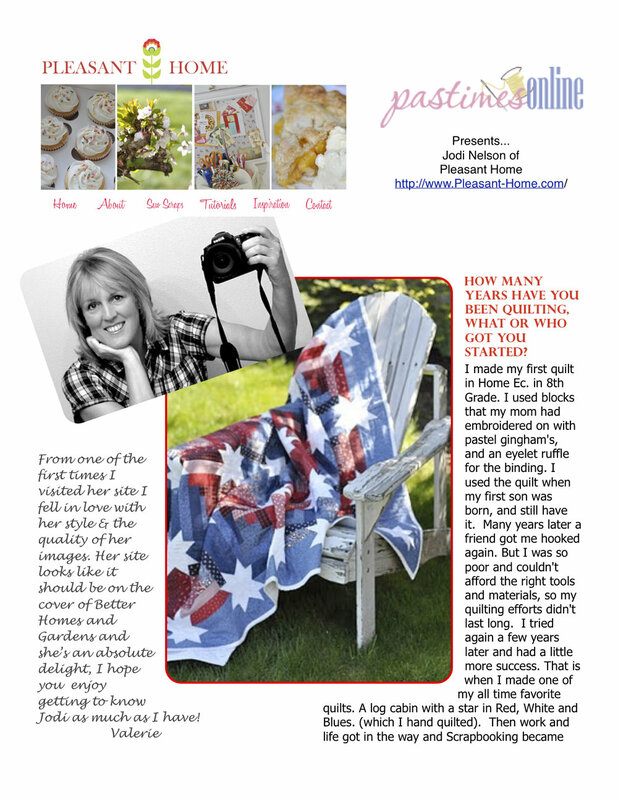 Diane has been loyal to Pastimes Online since the beginning, thanks so much Diane for being part of this journey with me. 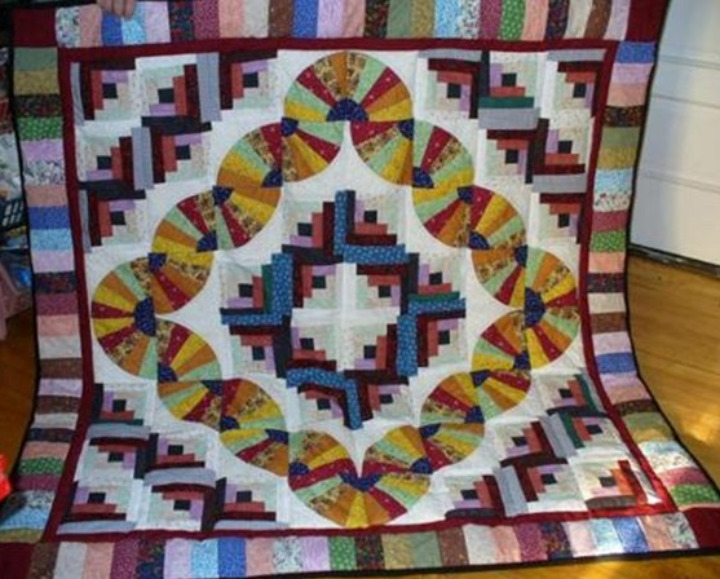 How many years have you been quilting, what or who got your started? My favorite technique is actually piecing just plain seeing the pieces of fabric coming together with the colours and design and the finished project usually so different than you imagined it was going to be to me every quilt is a mystery quilt although I have a pattern in mind. Who is your biggest influence famous or other-wise? 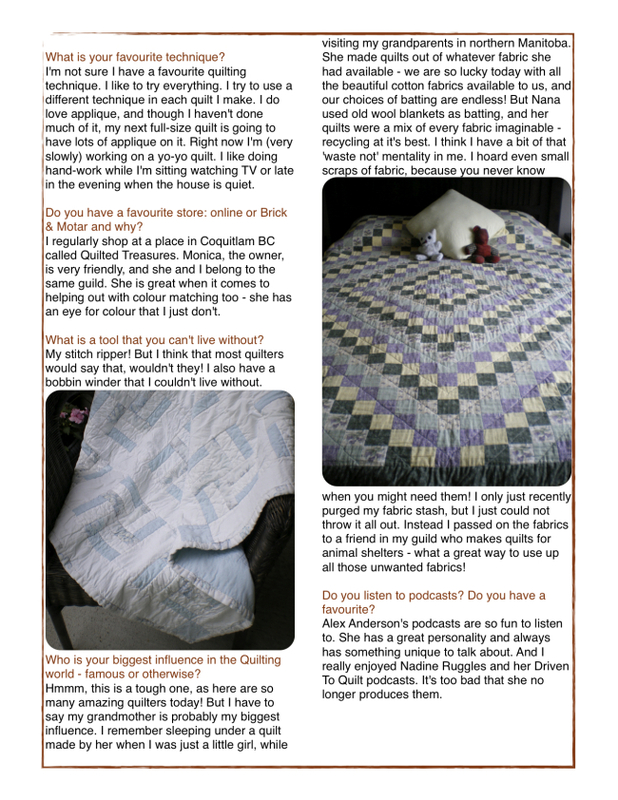 If you would like to join us in getting to know your fellow quilters, bloggers etc or you know someone you would like me to contact for being e-interviewed please let me know. Hi everyone, remember my blog about e-interviews…today is all about Rachel D from Belgium…can you find Belgium on this map? 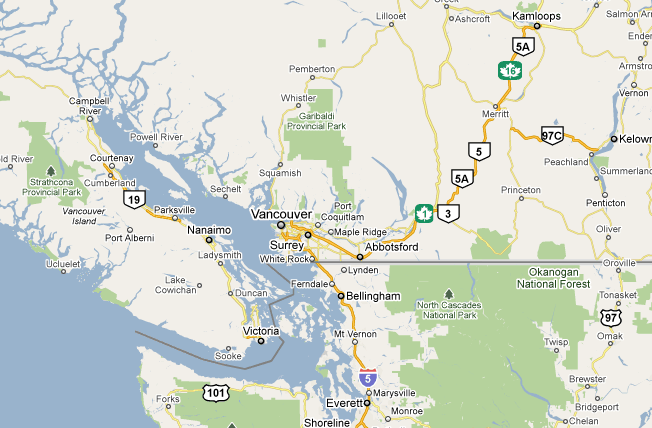 There is 10.7 million people that live in this country and it’s way smaller then one of our Canadian provinces and we have 33 million people in our whole country. They speak French, Dutch and German there so since English isn’t her first language she did a FAB job of my interview…enjoy! 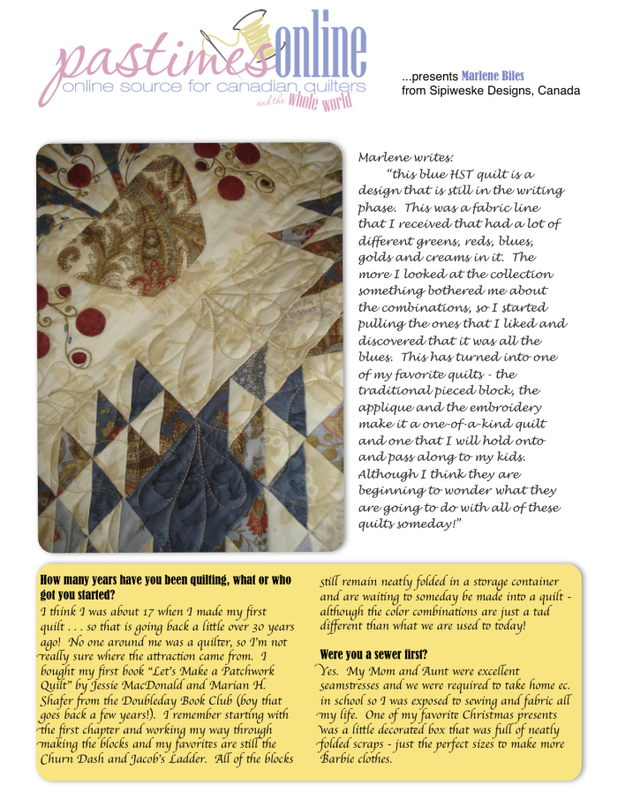 How long have you been quilting and what got you started? I’ve been quilting for one year. It all started in summer 2008 when I bought a special edition of a magazine called MagicPatch. This special edition was dedicated to Veronique Requena. I discovered a new passion and a new style: the country style. I just love and only regret I didn’t discover it earlier. 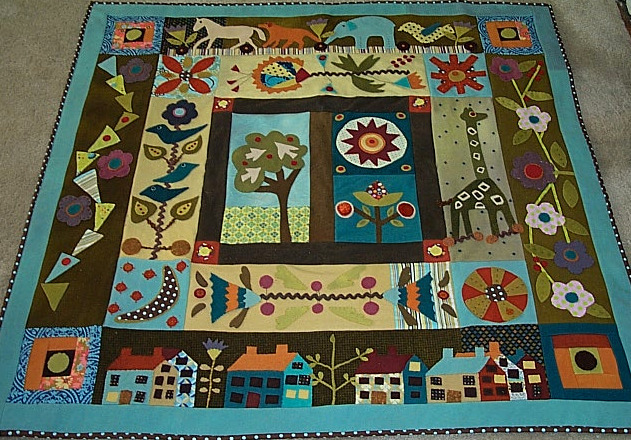 This picture represents my 1st real patchwork. 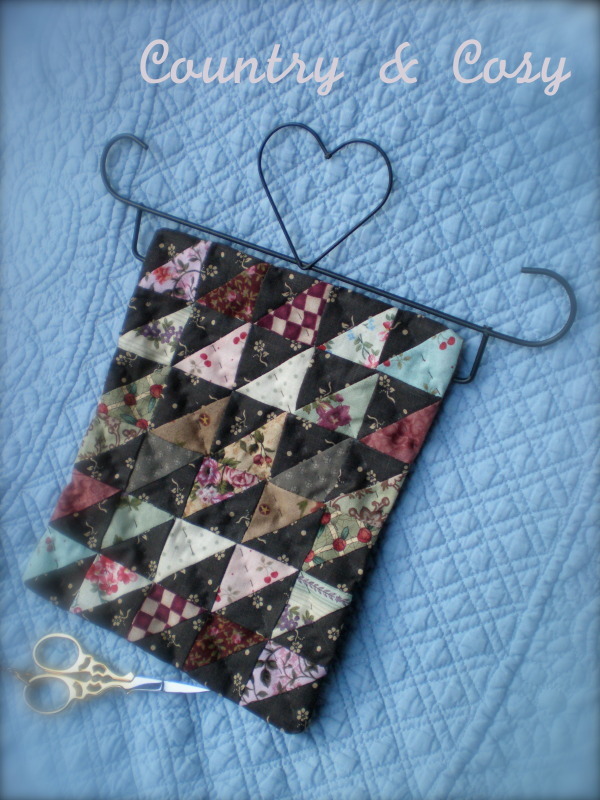 I made it when attending to my first patchwork lessons. It was hand pieced and I started hand quilting it. It’s still an on going project but I promised myself to finish it this year so that I can proudly hand it in the house. 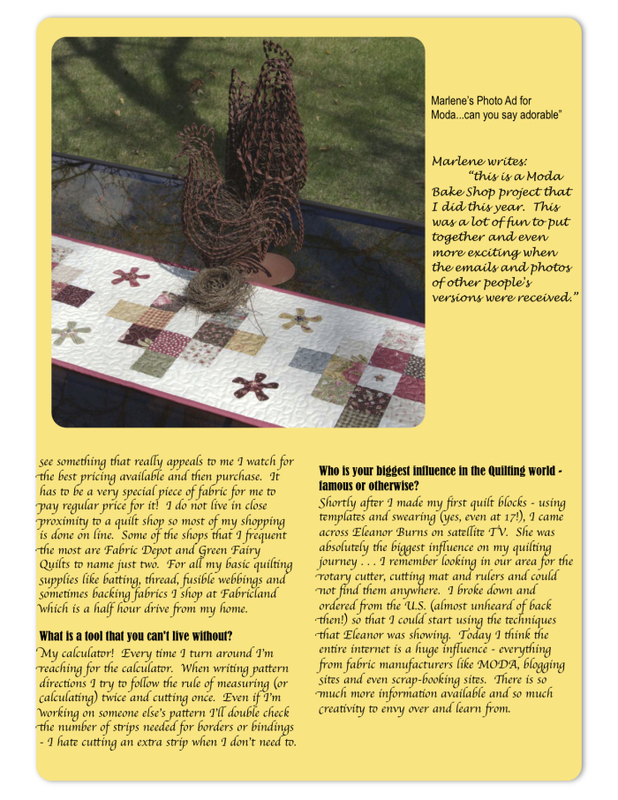 I was a sewer before a quilter. My mother worked for a cloth designer and taught me the basics for machine sewing. There was I time I would only wear but skirts I made myself. 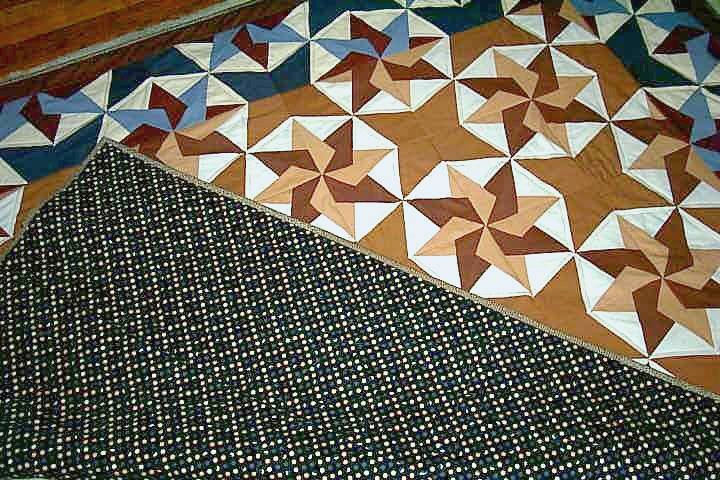 This second quilt was also made during a patchwork course. 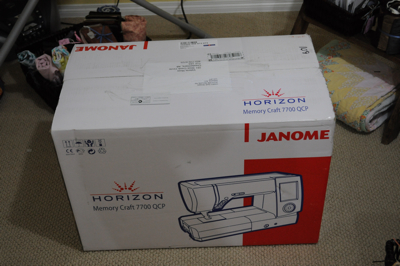 This time, it’s a machine pieced and hand quilted project. Colors are completely different from the original pattern as I wanted to give it a Christmas touch. I finished it on time for last Christmas. It’s one of the projects I’m mostly proud of. My favorite technique is hand piecing. It’s easy to do everywhere and allows me to piece in the train when commuting to and from work. 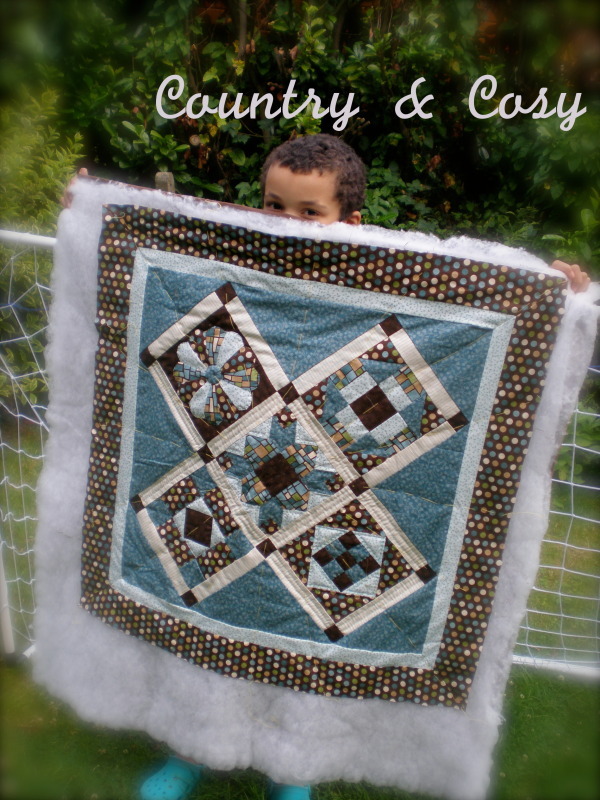 I also like hand quilting because of the result but I’m not sure I would hand quilt a top bed cover. 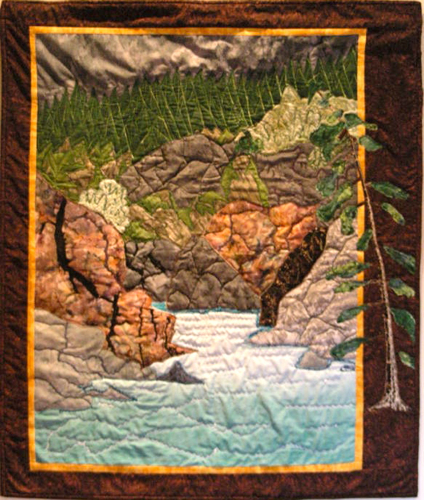 This 3rd quilt was made before take patchwork courses. I didn’t have the basics so joints don’t perfectly match. But I love it anyway as I like making small projects. 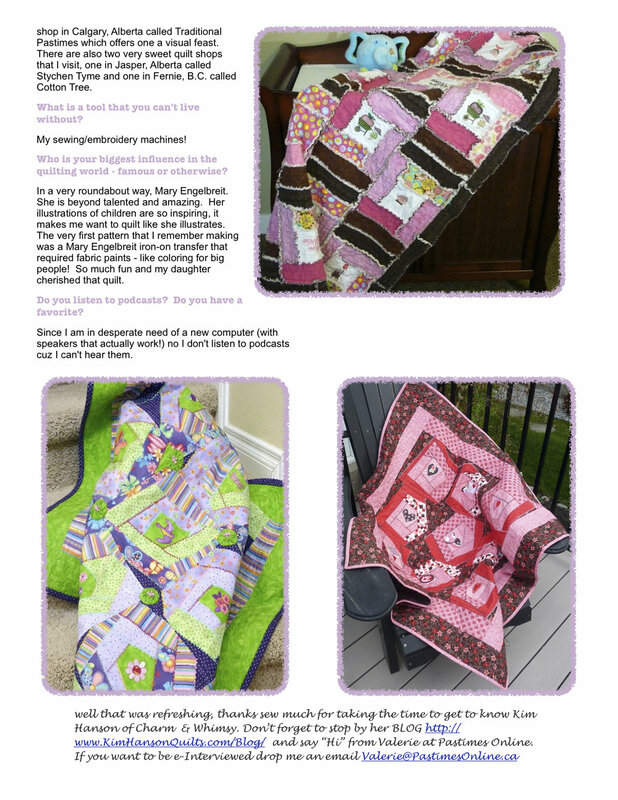 I was inspired by a Lucy’s blog for this project (http://lucyquilting.blogspot.com/2009/01/from-my-scraps.html). 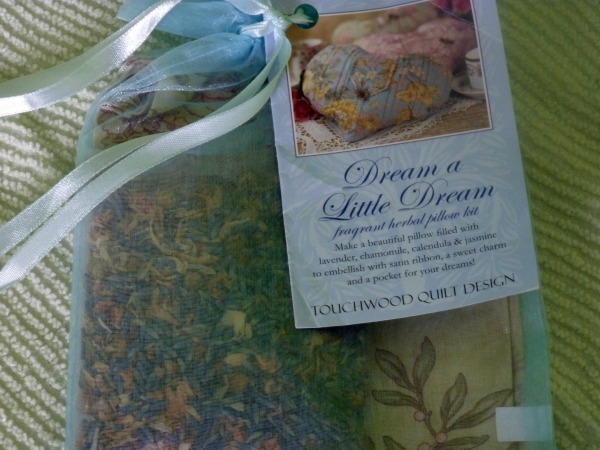 I just love mini quilts, perfect for decorating a house. Do you have a favourite store: Online or Brick & Mortar and why? A favorite shop ? Well I don’t know a lot. 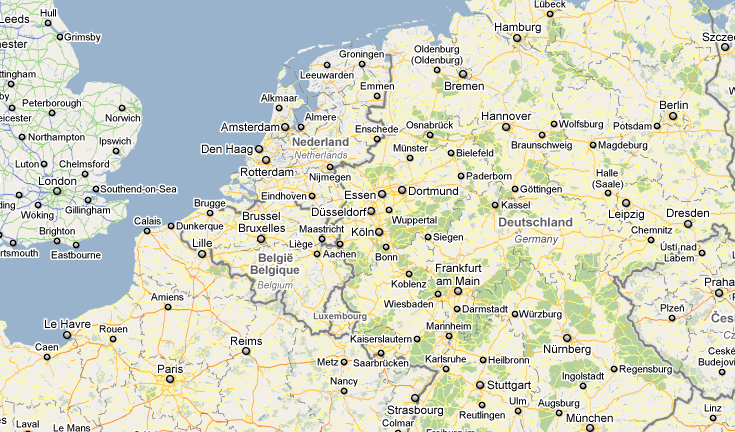 In Belgium (tiny country), there aren’t a lot. The only patchwork shop I had the opportunity to visit is The Cosy Cottage (http://www.thecosycottage.be/). The 2 ladies keeping this shop are absolutely nice and of good advise. But for finding nice fabrics, I would need to discover on-line shops. 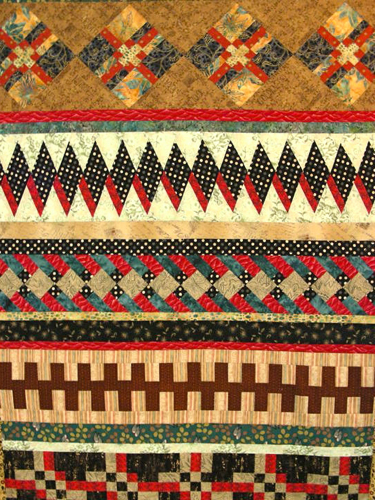 Who is your biggest influence in the quilting world, famous or other-wise? I don’t know if I have a big influence. 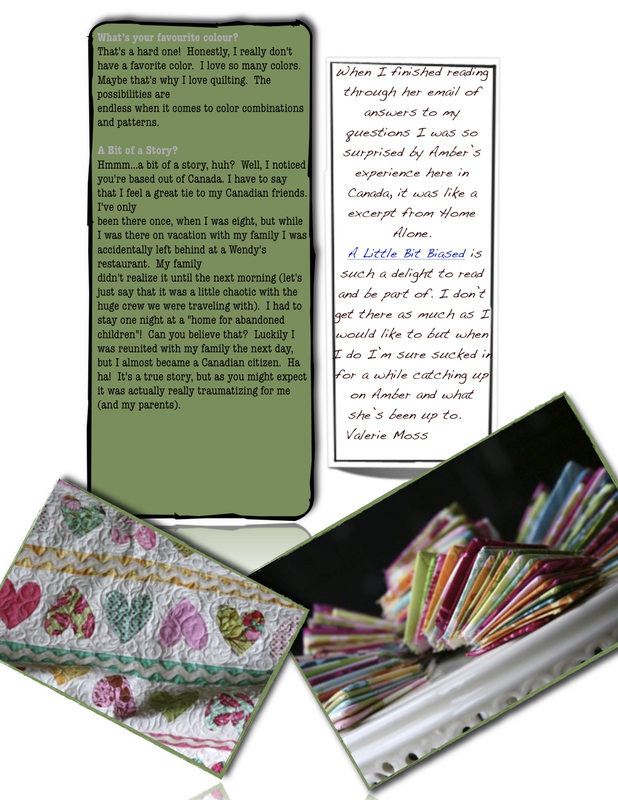 I love visiting blogs here I discover beauties made by wonderful ladies. My influence of the moment is Marianne Byrne-Goarn from The Cinnamon Patch (http://www.thecinnamonpatch.com/). I love the mixture of fabric and felt. Voilà Valerie. Here are the answers to your questions. It was a good exercise for me. I’m a quilting beginner and have a lot to learn and discover. Okay ladies…wasn’t this so inspiring doesn’t it make you want to be interviewed next? Hi Ladies, I’m so please to have my first official e-interview with Annie. The 1st of each month I will feature someone new. I have 4 spots booked so far, if you would like to be e-interviewed or would like me contact someone you would like to get to know better please contact me. 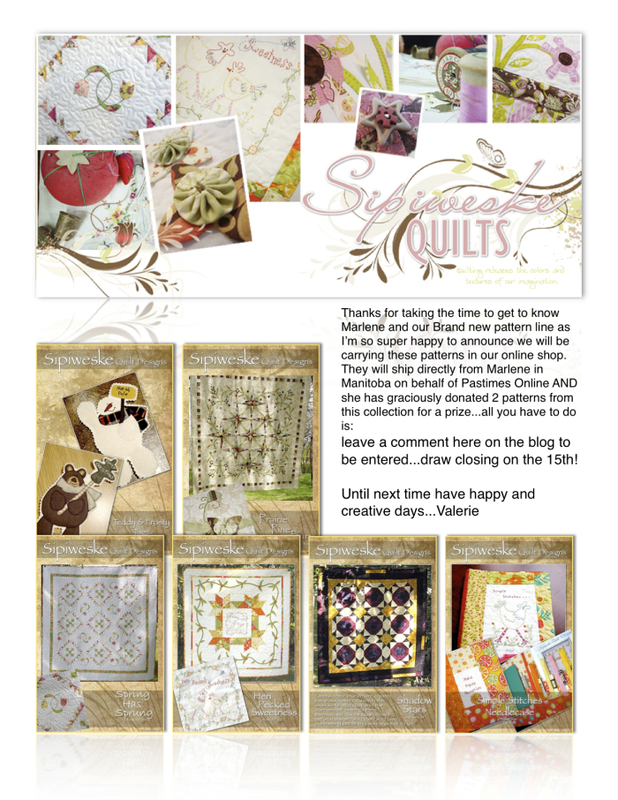 Today is all about Annie aka Studio Inanna who recently won a beautiful bundle of silks from our shop…congrats and enjoy. 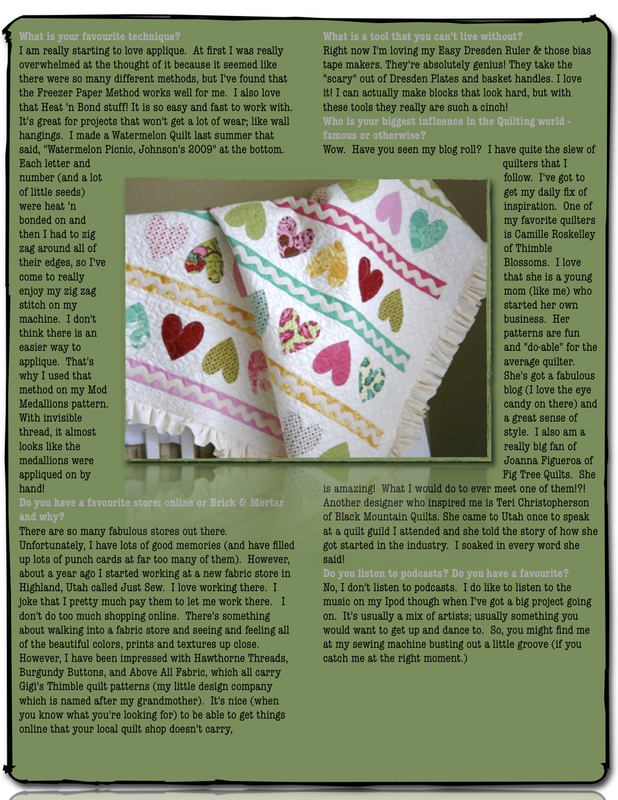 So without further adieu…here’s my e-interview Annie. 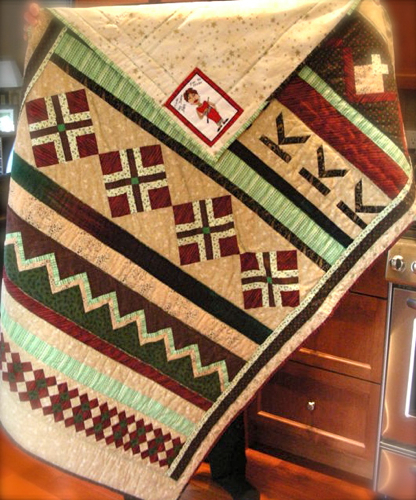 I’m easing into six years of quilting, inspired by a political campaign and blog: asked if anyone was interested in doing some charity work – as it developed we called it Blankets for America and it’s still going. 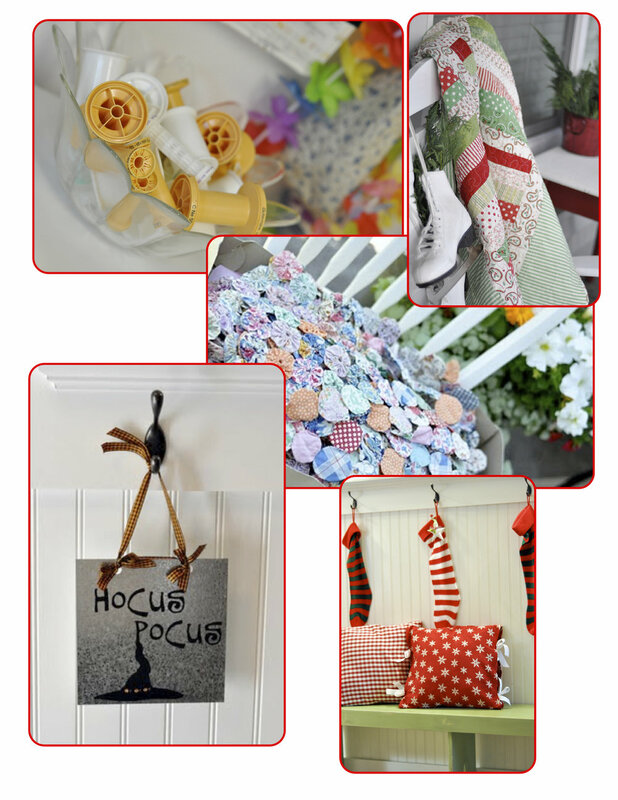 I started out doing crochet work – afghans and baby blankets, even some small sets for preemies in ICUs. Then a Block exchange specifically for quilts, and I was off to the races. I’m totally self-taught! 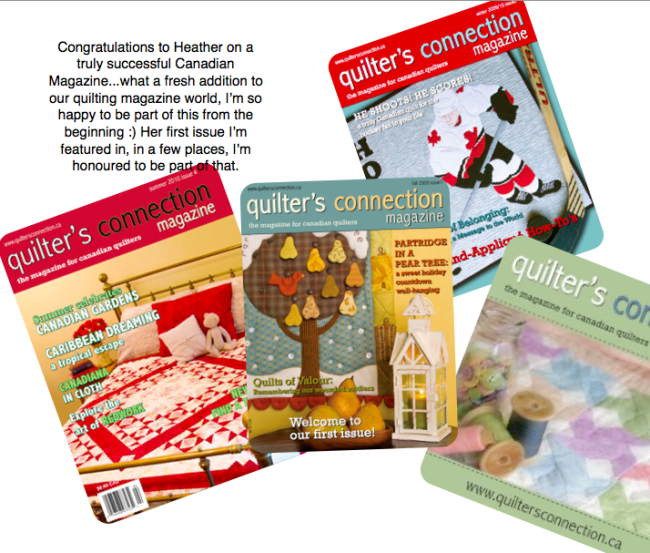 I now have lots of books and listened to programs on the Quilters News Network. I have taken a couple dozen classes online at Quilt University and learned something from every one. 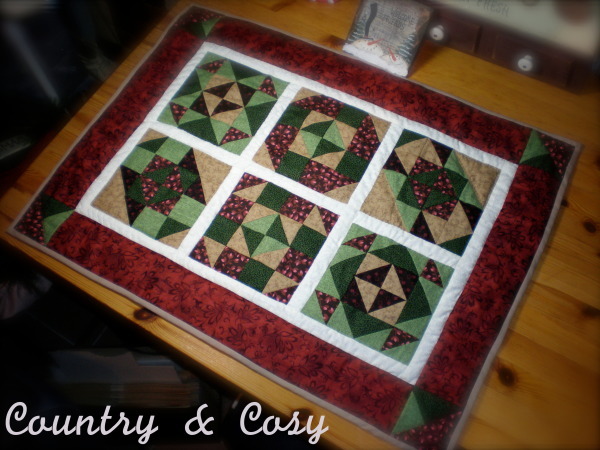 First actual *quilt* I made was this Amish Fans/Log Cabin. I was a farmer’s daughter here in Illinois; when I was 10yo, I started in 4-H club. First year of sewing had me making a skirt and scarf, and I remember it all today. The skirt had an elastic waistband and a hem, the scarf was fringed by pulling threads. Easy as pie and bound to be a success for us little girls. 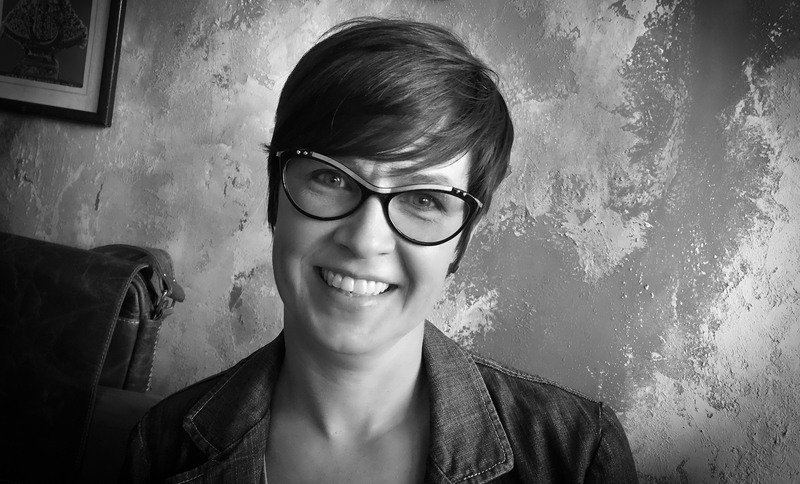 My mom was a sewer, so she taught me about the machine – that helped a lot. I went all the way through high school still belonging to that 4-H club, sewing and cooking and all kinds of other things. So yes, I have been a sewer all of my life. I’m pretty much homebound, so I ONLY order online. I don’t really have a favorite online store though. Here’s what I do. 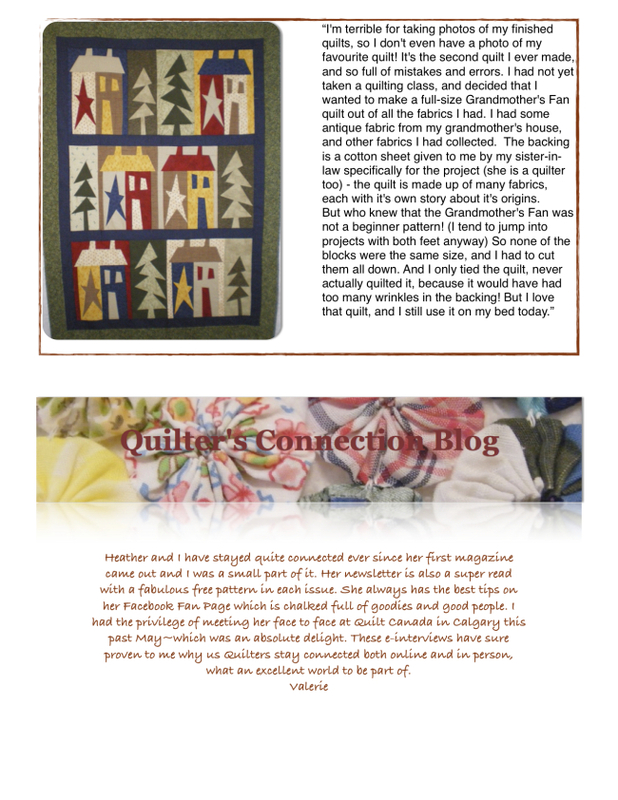 I use QuiltShops and search for whatever I’m on the hunt for. Oh, and I also enter the word “sale” with that. 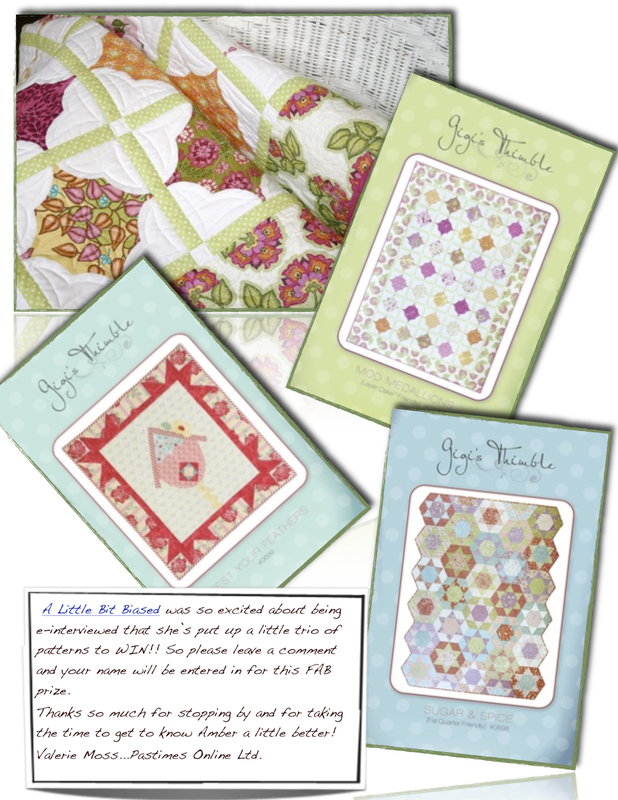 *S* I have found some wonderful bargains at the over 150 quiltshops they search. 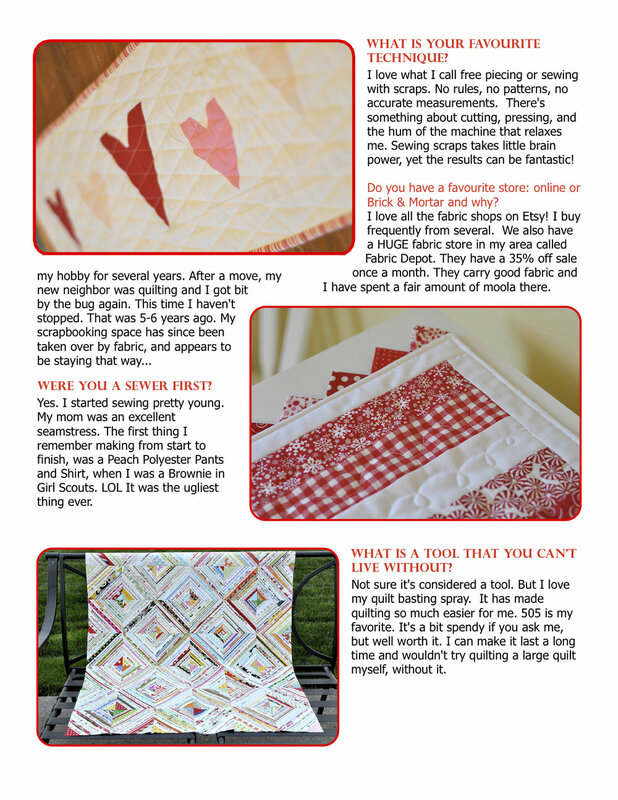 Also, I get quite a few newsletters from quiltshop sites I like, and they often have good bargains too. I try never to pay full price. is an easy, easy choice, I found these a year ago, and it has really saved me time. Clover Forked Pins. You use them to pin seams and keep them from moving when you stitch over them. I think I can say it’s my group of online quilting friends. They are there every time I have a question; they send me samples in snailmail; they point me to tutorials that might help me. And, of course, they give me support and cheer me on when I finish a project. 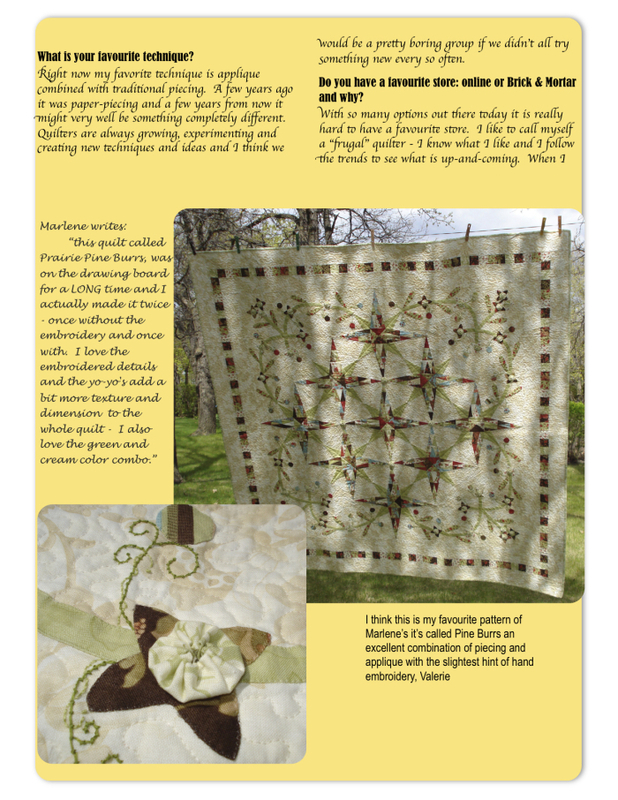 …who cheered me on last year when I made this brand new pattern from Judy Martin. It was really something. Just to show that quilting is not the only thing I do, here is a picture of a 22” cloth doll that I made for my granddaughter. I made two more for her sister that were ballet dolls. Once you make one, you might as well make a couple more. What a great interview with Annie………annie/sequana/inanna (she likes to use goddess names online hmmm what a great idea.) If you want to see more photos of her work, please visit her flickr page. More e-interviews to come, if you want to be featured in my blog, contact me.